Unifrog is an award-winning online platform which will help our students to make intelligent choices about their future, while allowing tutors to track their progress. Students will be able to use Unifrog for both apprenticeship and university searches and the platform can be used in conjunction with the UCAS website. Students are being coached through the tutorial programme to use Unifrog as a diary of their experiences, skills and activities that they have whist at Priestley College. This may include any university contact via presentations that may take place in college, or taster days, work experience, competitions, assignments that have developed specific skills, sports teams, enrichment activities even DofE. Click here to sign in. 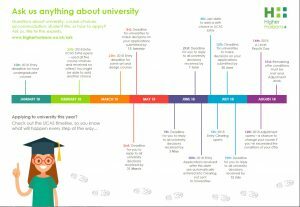 When we started to use unifrog we produced the following presentation to explain how it benefits Priestley students looking to progress. Going to university or college is one of the biggest investments you can make. Most students do not need to pay any tuition fees up-front, as they could be eligible for a Tuition Fee Loan. There are also grants and loans to help with living costs, such as rent, food, books, transport and entertainment. It is likely that different institutions will charge different fees for similarly titled courses. Therefore it is important that you are clear on how much you will be paying for the course prior to submitting an application. Students can still apply for a university place until September, but may not be guaranteed their course choice. They should remember that when they click complete – and pay and send on their online UCAS application – it does not mean it has been sent to UCAS. It will go through an internal checking process first. We aim to complete this process within 10 working days from the personal/progress tutor submission. If a student has been unsuccessful with all five of their choices, or if they decided to decline all their offers, they needn’t wait for Clearing. UCAS Extra is their opportunity to apply for a new course and it’s available now. A student will know if they can use Extra because it will appear as an option in UCAS Track. If your son or daughter is eligible, it’s important they think carefully about what they want to apply for before entering the details in Track. They should get in touch with the university or college to check whether there are still vacancies, they can then add their choice in Track and UCAS will send their application to the university. If your son or daughter accepts the offer, they are committed to it, which means they can’t apply anywhere else. If their offer is declined the student can apply for a different choice through Extra providing there’s still time. If your son or daughter isn’t holding an offer by mid-July then they’ll be eligible to use Clearing once they have their exam results. Results day is a stressful time and students need to prepare for all outcomes. 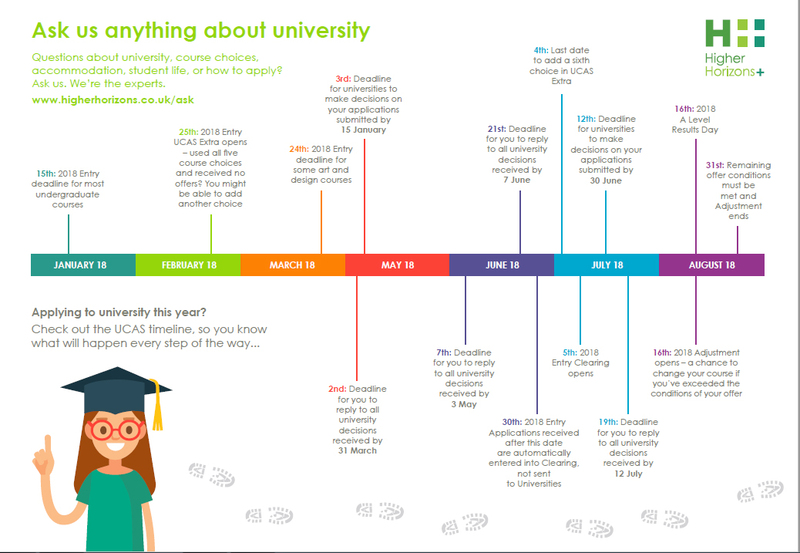 Hopefully they will be successful, but if not students will need to be prepared for UCAS Clearing. Students should have researched courses that are of interest to them and available in UCAS Clearing. They will need to check entry requirements, course content, university location and anything else they consider important. Students need details like their clearing number – this can be found on UCAS Track once logged in. They will also need their UCAS number and qualifications/grades. They will need to ring their chosen university’s admissions team. It is important to have completed prior research into the university and course through clearing as the phone call with the admissions tutors is essentially a telephone interview. Questions that arise might include: Q. Why are you suited to the particular course? Q. Tell me what you know and what interests you about our course? Q. Tell me about yourself, your skills, your qualifications etc? Priestley will have a team of advisors on hand to guide and assist any students going through clearing. Help will be available including land lines for you to contact universities on in one of the sports classrooms off the mail sports hall. As a parent, you’re likely to be one of the most important and trusted sources of information and advice to your son or daughter when they’re applying to university. Click here to access the free 24-page guide containing everything you need to support your child – from university choices to student finance. As part of the UCAS application process students are asked to complete a personal statement, explaining why they are a good candidate for their chosen course. A well written application may convince a university to make an offer, or invite a student to an interview. Staffordshire University have also provided the following guidance. Hundreds of Priestley students continue on to top apprenticeships every year as they pursue their dream careers. In recent years our students have gone on to work with the likes of Barclays, Jaguar, Fujitsu and United Utilities, to name just a few. At least one has become an apprentice nuclear engineer while others have started their working life as trainee estate agents, accountants, child carers and sports coaches. We take great pride in the number of former students who have found apprenticeships and jobs. A lot of these jobs and placements have been achieved through the sheer hard work of students and also the strong links that Priestley enjoys with businesses in Warrington and Halton. It is vital that young people are prepared for life either at university or in the workplace and Priestley delivers both. Former students have secured posts or training across a diverse range of subjects including IT, hairdressing, photography and care work. One recently started training to become a teacher in China while other former Priestley learners have joined the Royal Marines, Warrington Borough Council, Warrington NHS and Bank of America. The notgoingtouni website has links to live apprenticeship opportunities and so again, is a great tool for students to access. At Priestley College we expect 100 per cent attendance at all timetabled sessions. All the evidence suggests that those students who sustain a high level of attendance will be more successful with both coursework and exams. To help us monitor attendance an electronic register is taken at every timetabled session and we regularly produce attendance reports. If students do not let college know of reasons for absence we are likely to contact either the student, their parents or both. Click on the link below to read our current OFSTED report. Full details of all bursaries available to Priestley students can found in the document below..